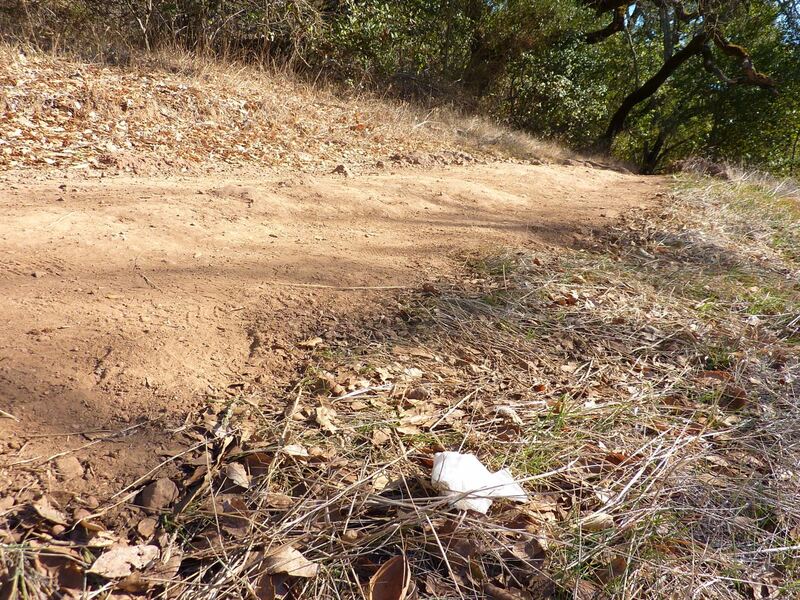 Whenever I turn a corner on the trail and spot a discarded facial tissue (which happens with some frequency) my heart skips a beat. Ahh, I think, some hiker has left something of theirs behind for me. I approach it, casually lean down, pick it up, and slide it surreptitiously into my back pocket, hoping that no one sees me. This is because I am fundamentally selfish. I want the tissue experience to be mine and mine alone. Just think of the metaphysical implications of the placement of that artifact. Was it left in the middle of the trail, it’s otherworldly whiteness in stark contrast to the reddish brown soil, to spark contemplation about life’s fleeting nature? Or was it deposited just so with folds carefully applied, to make one consider the nature of art? Or perhaps it was discarded almost without thought, as a commentary on the disdain with which the hiker contemplates the natural world that surrounds them. I guess we will never know if any of these are the reason, unless I happen to witness someone in the act of placement, when I can ask them their intent. Meanwhile, I will continue to gather these symbols of humanity’s fleeting dominion wherever I find them. But seriously, people, tissues are trash. If you pack it in, pack it out.